To live with the daily anguish and uncertainty that the future offers us is the life sentence that I share with Gerardo. I was not condemned in a federal court like he was, I was not even close by. Yet, we received the cruelest punishment: psychological torture and definitive isolation. 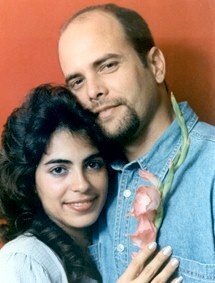 By the United States government denying Gerardo my visits as his wife, as a prisoner condemned to two life sentences his rights are being violated. They are preventing the joining of two people who love each other, not even under restrictions that the Bureau of Prisons establishes. The repeated denial of a visa has forced us into a major separation, to suffer the constant violation of human rights and international law. It increases our anxiety and the perpetual punishment of not being able to see each other. With almost 15 years of marriage, I ask myself: When will we be able to look into each other’s eyes? Who has the right to violate international law? The confidence that we have in the U.S. people, in its noble values and as defender of family traditions, keeps us hopeful of a better future where truth and justice raise their voices. Please join forces to protest this situation. Consult the doctor immediately when you come to know that you are allergic to simvastatin. Ñåãîäíÿ çàìåíà äèñêîâ ford - ýòî óñëóãà, âõîäÿùàÿ â îãðîìíûé ïåðå÷åíü ðàáîò ïî ðåìîíòó è îáñëóæèâàíèþ çàðóáåæíûõ àâòîìîáèëåé, ïðåäîñòàâëÿåìûõ íàøèìè öåíòðàìè â ñåòè ñïåöèàëèçèðîâàííîãî ïðåäïðèÿòèÿ. Ñîñòîÿíèå äåòàëåé è ìåõàíèçìîâ íà ðàííåì ýòàïå ðàñïîçíàåòñÿ ïðè ïîìîùè ñïåöèàëèçèðîâàííîãî îñíàùåíèÿ ïóòåì äèàãíîñòèêè, ÷òî â áóäóùåì ïðåäîñòàâèò âîçìîæíîñòü îùóòèìî óìåíüøèòü òðàòû íà àâòîóñëóãè, à òàêæå ïðîäëèò ñðîêè èõ ðàáîòû.